Most of our research is done by recording simple observations, but CiDR researchers also employ a variety of advanced instruments, and CiDR engineers are continuing to develop technology to help us better understand our space-time continuum. The recent development of the scalable, synthetic Horologian crystal has opened the door to a new generation of temporal devices. CiDR engineers are currently developing a handheld field device that will help researchers study temporal dynamics. The device operation is very similar to previous temporal devices, but the components are much smaller. The TFD 1 utilizes a micro plasma vortex to power a small synthetic Horologian crystal inside of a sealed chamber. This device employs an induction method to charge the crystal rather than the direct injection method used in larger devices. The TFD 1 includes an array of internal metering devices and is also expandable via an external port. Measurements are recorded internally and can be uploaded wirelessly with the included transfer software. The TFD 1 is being made available to CiDR researchers worldwide. CiDR MAP is a mobile application platform for temporal research that combines a suite of tools for studying our space-time continuum into an integrated, expandable and easy to use experience. CiDR MAP beta currently runs on the Android platform and is available internally to all CiDR personnel. CiDR engineers are planning future versions for iOS, as well as a public release of the application. The application utilizes standard built in mobile device hardware, such as the magnetometer, GPS, gyro sensors, etc. The app will also be compatible with planned USB expansion devices that will feature additional sensors. The app has the ability to take readings from multiple sources and display the collected data in meaningful visual displays. Researchers will be able to share and cross reference data from a central database. Development of the first temporal device, code named "Time Machine," began in early 1940 at the University of California Radiation Laboratory at Berkeley. As with the contemporary Manhattan Project, Allied scientists were trying to create a weapon that would change the outcome of the war. Time Machine works by charging a rare Horologium crystal with energy from a plasma vortex reactor on the top of the device. The unique properties of the crystal cause a rift in space-time inside of a sealed chamber. The Allied scientists were experimenting with sending radio signals through temporal rifts to disrupt Axis communication at key points in the timeline. Although the Allied scientists did succeed in creating a machine that was capable of opening a rift in space-time, they were unable to find a method of accurate navigation through the rift. After a last ditch attempt to transmit a signal to the entire multidimensional spectrum overloaded Time Machine's circuits and critically damaged the device, the project was mothballed in favor of the already successful atomic bomb. 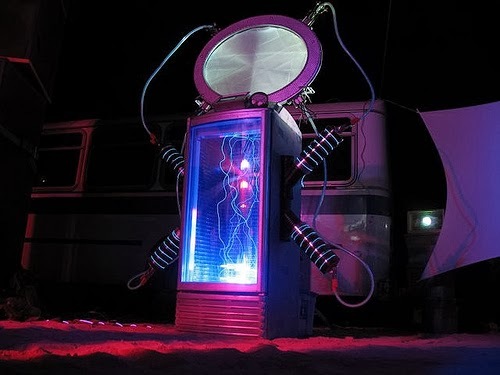 In 2008, artist Rich DDT purchased what was left of Project Time Machine from a government surplus website and restored some functionality to the device. DDT began using Time Machine to retrieve audio signals from future dimensional timelines through the machine's radio circuits, which he used as part of a musical performance. 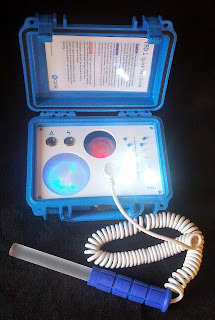 CiDR researchers took interest in the device after seeing DDT at one of his performances in late 2010, and have been using it to conduct experiments ever since. In 2011, A team of CiDR engineers, lead by adjunct researcher Justyn Myers, worked with Rich DDT to develop a prototype control interface and some new internal circuits for the original Project Time Machine device to test Myers' theory of temporal feedback. Myers predicted that because of certain crystalline properties, feeding resonance from the temporal rift back into the plasma reactor powering the rift would create a stable loop. 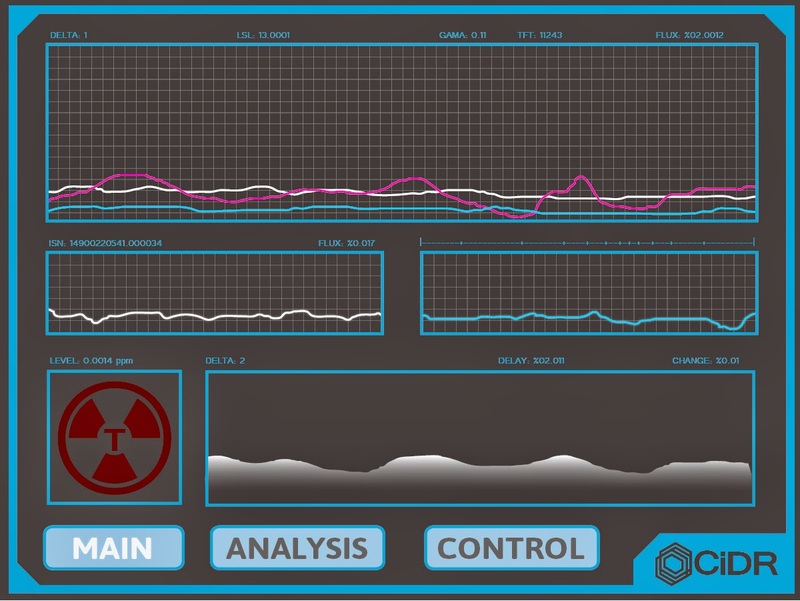 The new control interface allowed researchers to modulate the feedback loop and study visual signals from different points on the multidimensional timeline. Several successful field tests with the new system lead to the discovery of temporal interference and degradation caused by anomalies in different timelines. New Temporal Feedback Technology devices are being developed to study the effects of this phenomenon.